Barcelona architecture and design first made name for itself thanks in no small part to a 1980s municipally-led public space renewal program. During this post-Dictatorship, pre-Olympic build-up, the motto of which, “recover the centre, monumentalize the periphery”, was coined by architect Oriol Bohigas, public space was seen, first and foremost, as the space of a fledgling democracy. The program aimed to turn plazas and squares, many of which had been completely taken over by parked cars and ‘motos’, into spaces where citizens could take ownership of –and pride in– their city. It worked: the 1992 Olympic Games set a record for citizen volunteership. Some years later, the Royal Institute of British Architects awarded Barcelona the RIBA Gold Medal, the first time it went to a city and not a person, and soon after that it became a global ‘model’ of successful post-industrial transformation, attracting tourists by the plane-load. 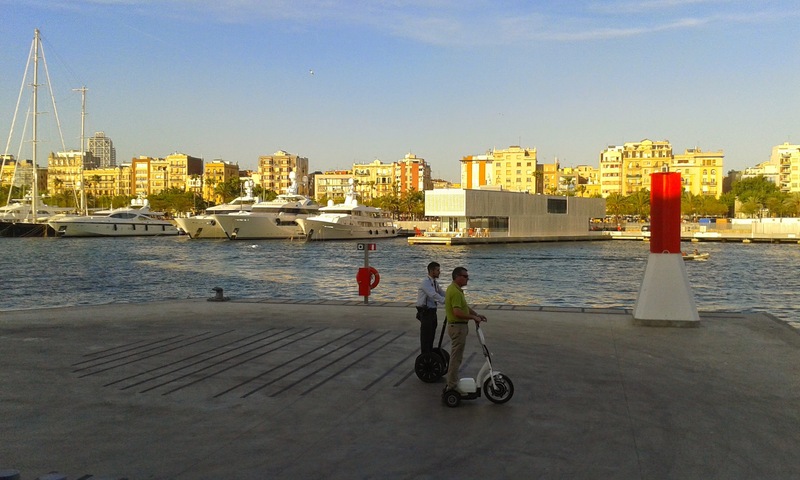 Originally a fishing and industrial port, Barcelona’s old port was transformed into a marina for leisure boats in the 1980s. The latest renovations add a security fence, a roadway so vehicles can maneuver up to any boat, and a drastic reduction in the number of moorings in order to enable much larger yachts to maneuver in the harbour. Private clubhouse facilities have also been added. Whereas before, a walk around the harbour offered views of water and hundreds of small and medium-sized boats, now the hulls and decks of multi-story tall vessels block most of the views of the water. Instead, we get views of rich people lounging on their deck chairs, or else lackeys polishing doorknobs. What is certain is that this is no longer a space with democracy in mind. Not even in theory. It is a once-public space that has been privatized to satisfy ‘investors’. Should there be any losses (here I refer to financial losses, not the environmental loss that is already evident), then the public will, in all likelihood, be left with the bill. That’s how the global economy works: “capitalism for the poor, socialism for the rich”.